CES, the annual gathering of thousands of tech companies and media, was a successful preview of what’s ahead in consumer electronics for 2016 and beyond. 49 years in the making, over 3,800 exhibitors showcased their latest contributions to tech around the world, as the ideal of Connected Life was in full force. We are thankful so many of our blog readers and social followers enjoyed the live reports and coverage we shared last week. Proud to be among the 170,000 visitors, our goal was to be an extra set of eyes and ears for those unable to attend. And overall, CES yielded an astounding social media presence with over 1.2 million mentions of the #CES2016 hashtag and upwards of 15 billion social media impressions during the conference. Everyone was talking (and tweeting), literally. Although we hoped to see more innovation in the area of smartphones, they did not make a huge splash this year. Still worth mentioning, however, is that over 50% of the products on display were app-enabled – solidifying the vital spot smart devices truly hold in our lives. CES showcased everything from connected beds to device-enabled dog bowls that come app ready and collect data along the way. Our phones are doing it all, whether operating our lights, music and heat, or our cars. Perhaps that’s part of the reason auto tech claimed 25% more of the convention’s floor space this year and offered an array of awesome opportunities for virtual test drives. Drones were also ever present, lurking around every corner. But, most companies played it safe with only subtle updates to existing products and an open-ended outlook on what the future really holds. With that said, the products that really resonated with our readers and followers were extremely ‘smart,’ like the LifeFuels Smart Nutrition Bottle, Oliba Smart Buddy, Edyn Smart Garden System and Sengled Smart LED Bulb & Speaker. Very cool. 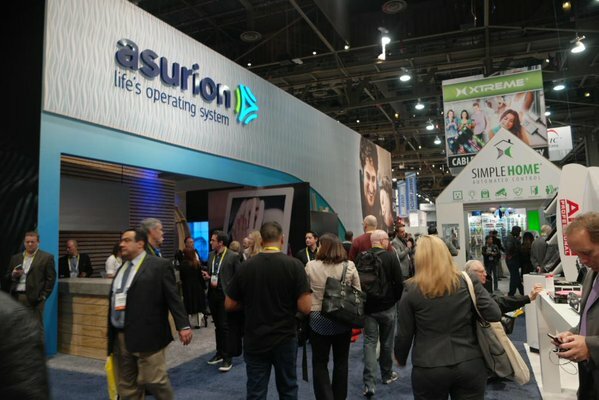 What was your favorite product featured at CES this year? Thanks for joining us at CES 2016! We are already looking forward to next year’s reveals. In the meantime, continue following us for tech tips & insights all year long.